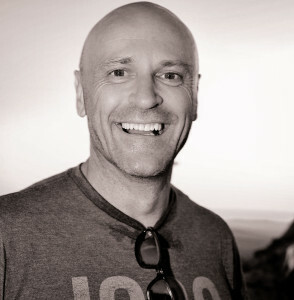 The colours red and yellow are the strongest in the prime colour spectrum. In nature they are used in many ways – to attract mates, scare off predators, etc. 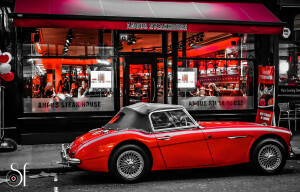 In photography red is a particularly strong and potent colour. 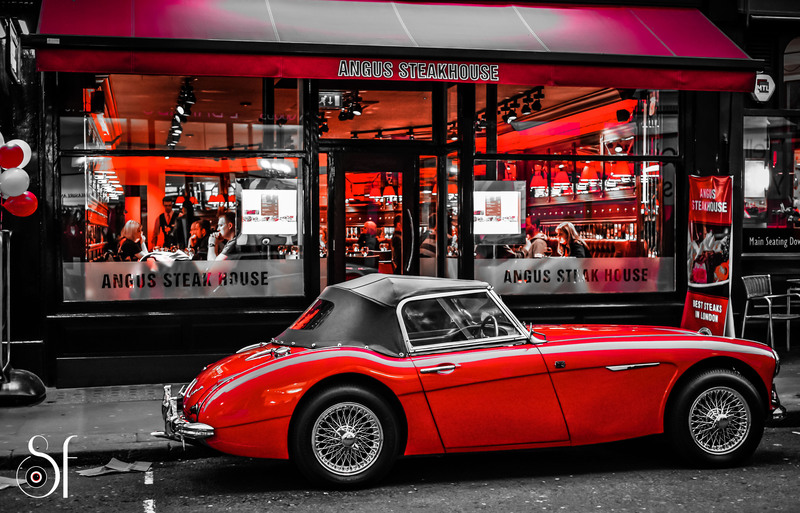 The red MG and Angus Steak House photograph was shot in London’s West End. 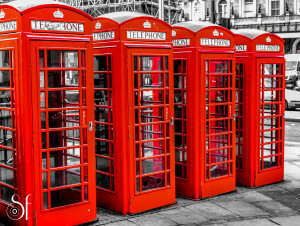 The red phone booths also in London outside Charing Cross Station. 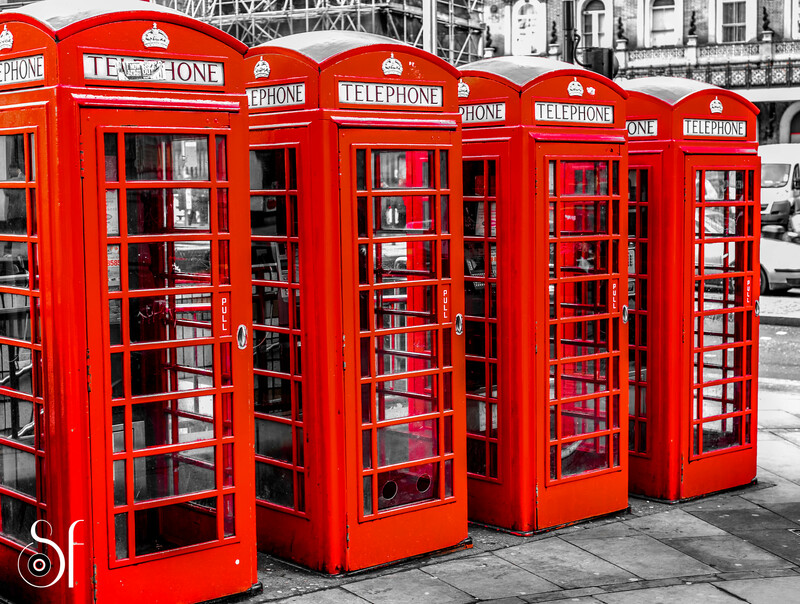 Both photographs were edited to emphasise the colour red.